Well it was a whirl of a weekend! 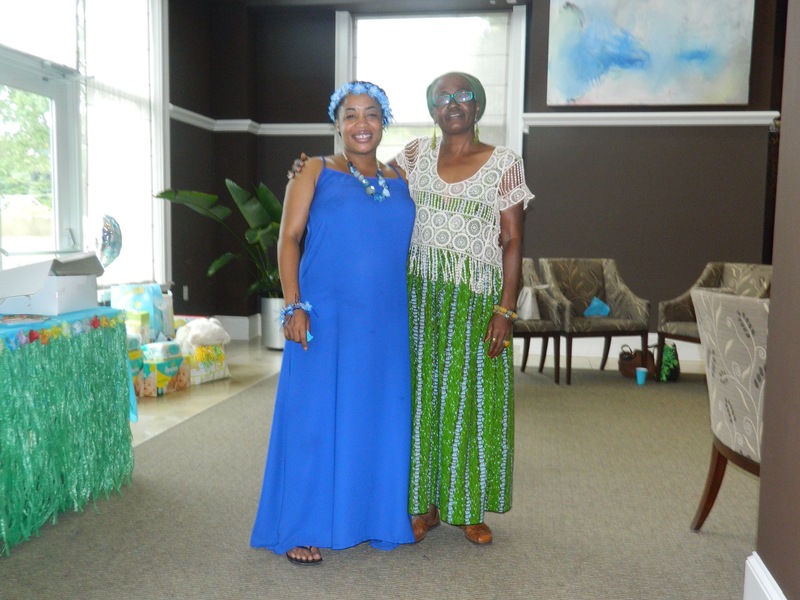 I had my first baby shower in Atlanta and it was amazing, joyful and the happiest occasion to say the most. 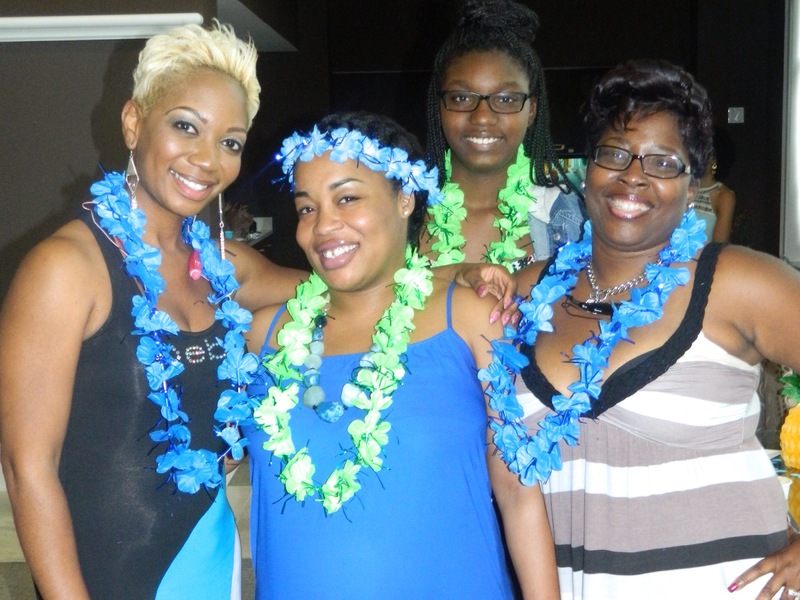 The theme was a Hawaiian Luau and it was expectantly fun. My closest girlfriends threw it for me and it turned out amazing. 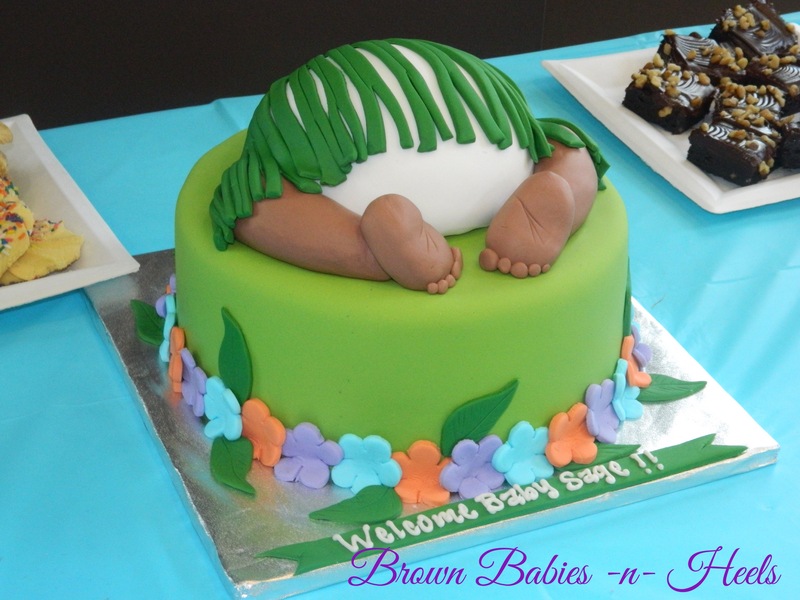 Baby showers are always special and filled with lots of oohs and awwwws. 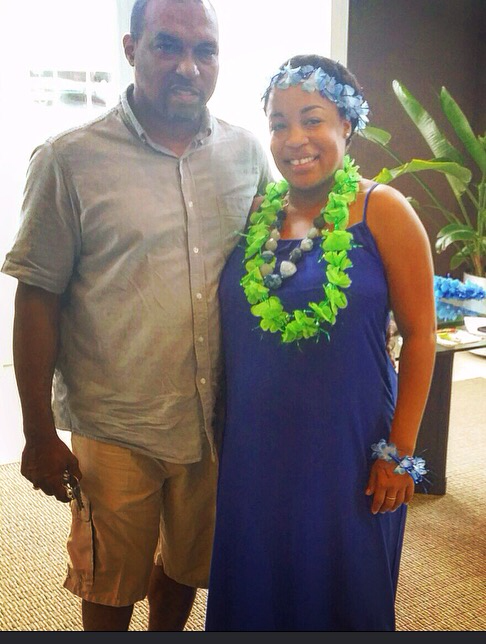 My family and his family joined us in our celebration and our excitement for our baby boy. 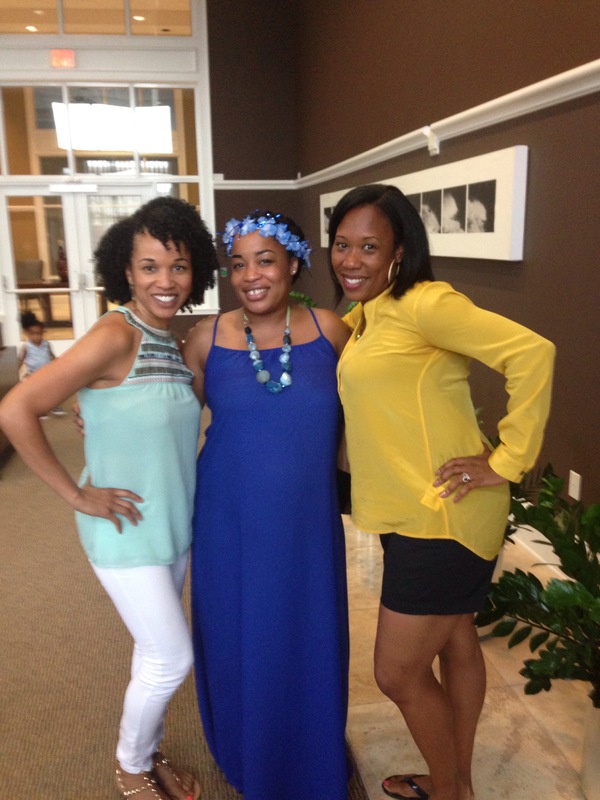 For me this sealed the deal that my son will be here in eight freakin’ weeks–Get the &@5; out!! I’m asked constantly are you nervous…..”No” I say vehemently!! I welcome this new chapter in my life graciously. I am beginning to be bored with taking care of me, working on me, being with me, getting to know me, etc. I guess I’m basically saying I can’t wait to see how becoming a mama will change me–into a more giving, loving and selfless person. I mean it’s not about me anymore. The food was awesome everyone talked and texted me about it. My most favorite part was the cake. Isn’t it adorable?!?! It was ordered from Sabrina’s Cakes in Atlanta:::hit her up on Facebook, you won’t be disappointed y’all! Not only was it beautiful but it was delicious too. 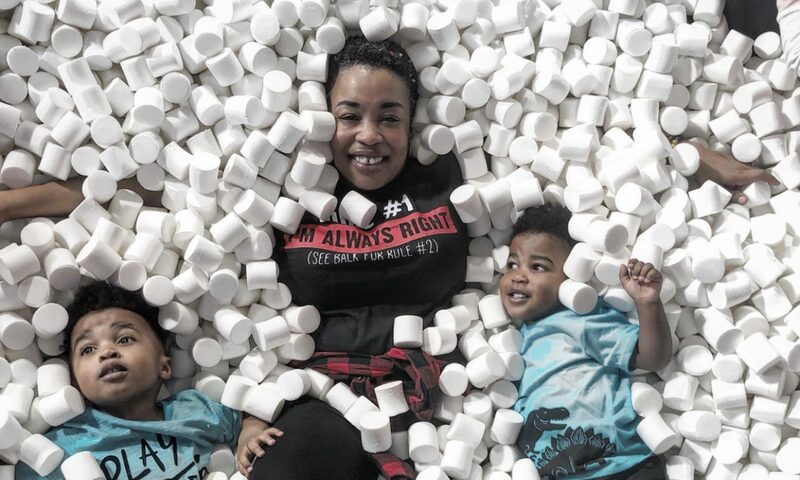 We decided to cut around the baby and save the top for Sage’s 1st birthday. We’ll let him smash it up!! I welcome what Sage will bring to our lives and the lessons he will make us take heed to. I know he will give me a different way of approaching a world that will be somewhat of a brand new entity to us. I am sure he can feel all the love and joy that surrounds him, not just from his mommy and daddy but from those that love us so much! 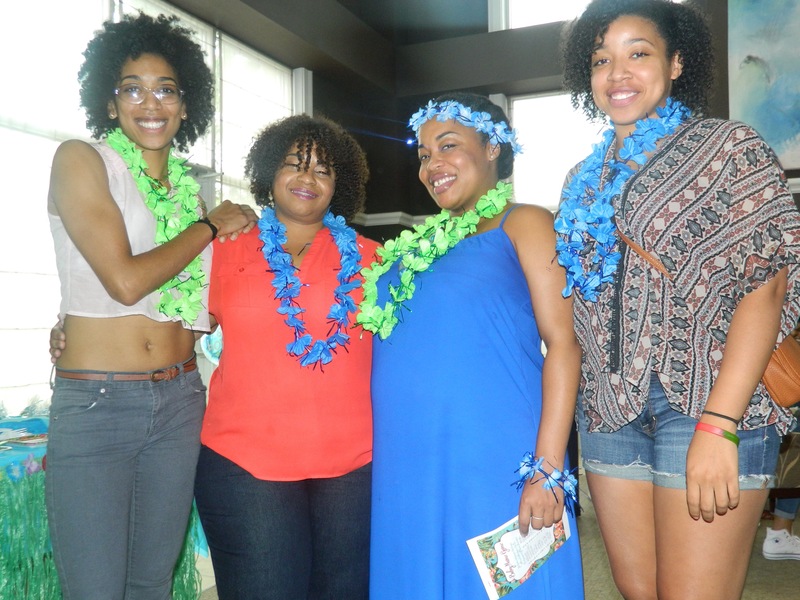 What was your baby shower like? I’d love to hear about it! Previous PostPrevious Happy National Dog Day! !